Our accolades, press, and media features. 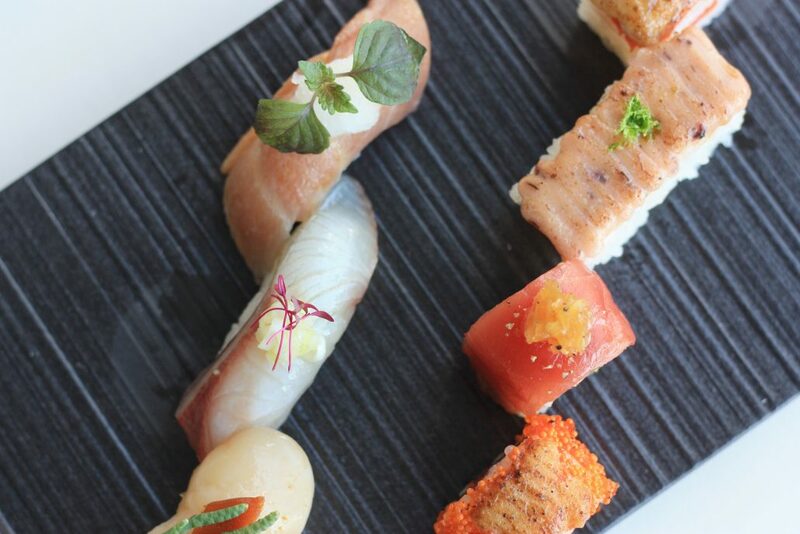 We’re celebrating a decade of serving our signature Aburi cuisine. 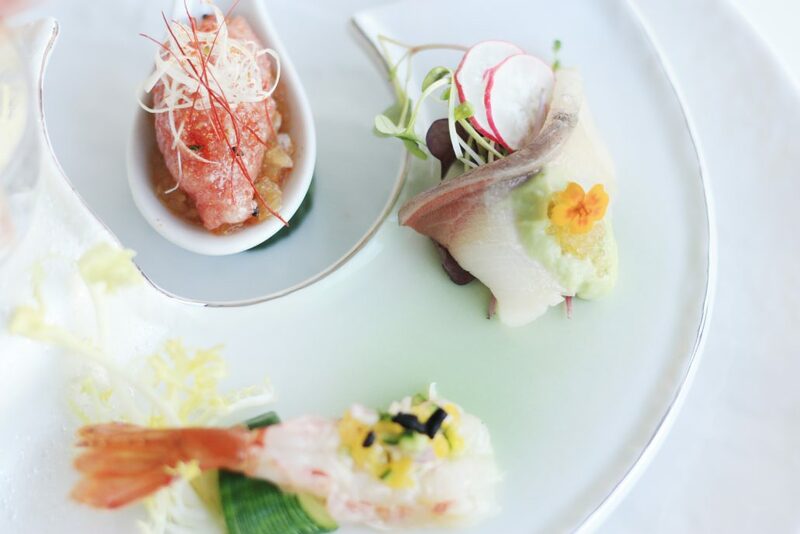 When owner and CEO Seigo Nakamura first opened the doors of the original Miku flagship on Thurlow in 2008, he already knew that he was creating an exciting new trend in the Vancouver Japanese restaurant scene. Fast forward to 2018, Miku has since moved, expanded, opened in Toronto, and thanks to everyone’s support we have established a prominent presence on both coasts of the country. Though many seasons have passed, we at the original Vancouver flagship have not forgotten our passion, continuing our commitment towards providing amazing service and innovative cuisine to our most important guest – you. 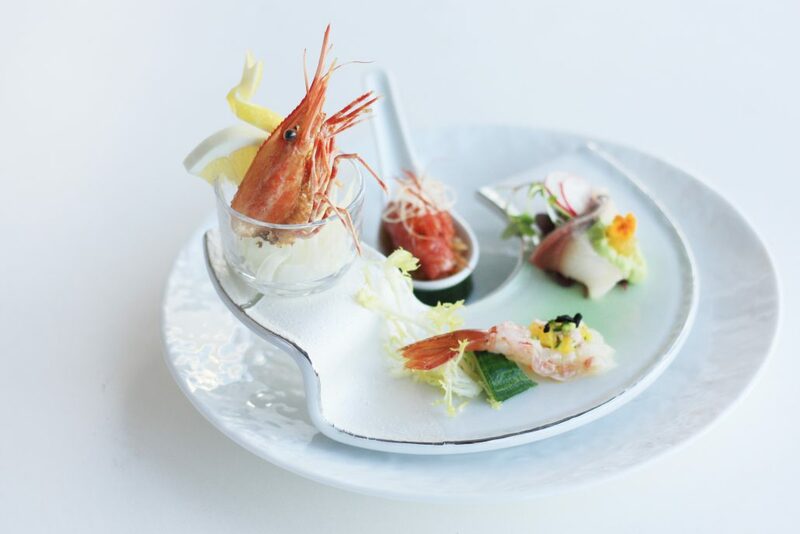 Now reaching our 10th year, we are excited to host a very special anniversary event at Miku. Throughout the month of October, we will be celebrating this decennial milestone with a limited-time 10 Year Anniversary Kaiseki. We are excited to show a sneak peek of this upcoming exclusive dining experience. View the course previews below, and the full menu here. Don’t forget to book early for best availability. 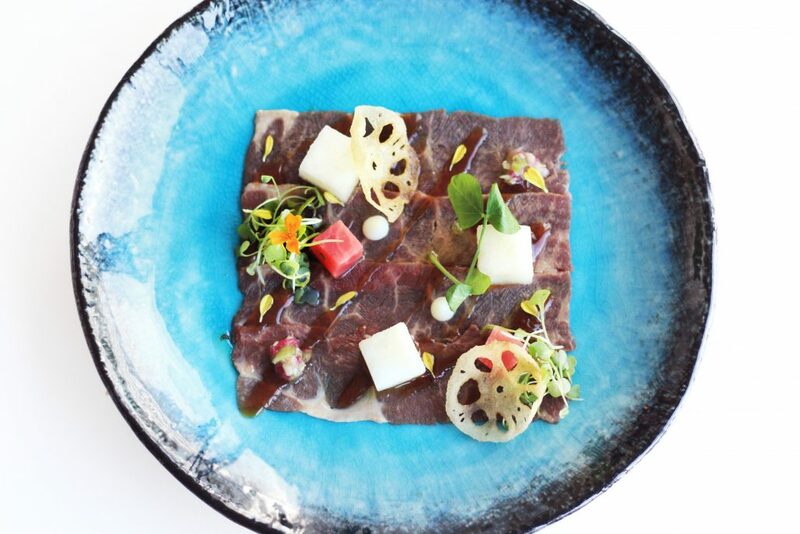 An excellent starter to this six-course dining experience, our Wagyu Beef Carpaccio is lightly seared, drizzled with jalapeño ponzu, and finished with our crisp asian pear, asian greens, and lotus root chips. Our Aburi Sashimi & Tartare course features our chef’s three fresh selections for the season: Local BC Botan Ebi (spot prawn) topped with our yuzu orange salsa and dried olive, Hamachi (yellowtail) with avocado coulis and golden tobiko, and our Chū-Toro Tartare served with our signature togarashi masatake sauce and housemade parsnip crisps. 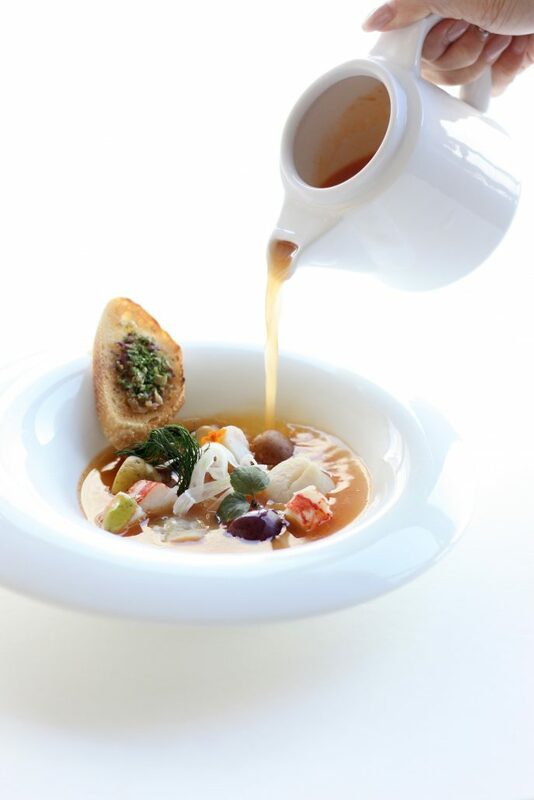 Back exclusively for this decennial celebration, our Lobster Bouillabaisse features a fragrant tomato saffron broth with half lobster tail, scallop, mussel, and clam, and is served with a crisp iwanori butter baguette. Always a guest favourite, our AAA Sterling Silver Filet Mignon Steak is grilled to perfection and served with our roasted market vegetables, veal jus, and wasabi pickles. 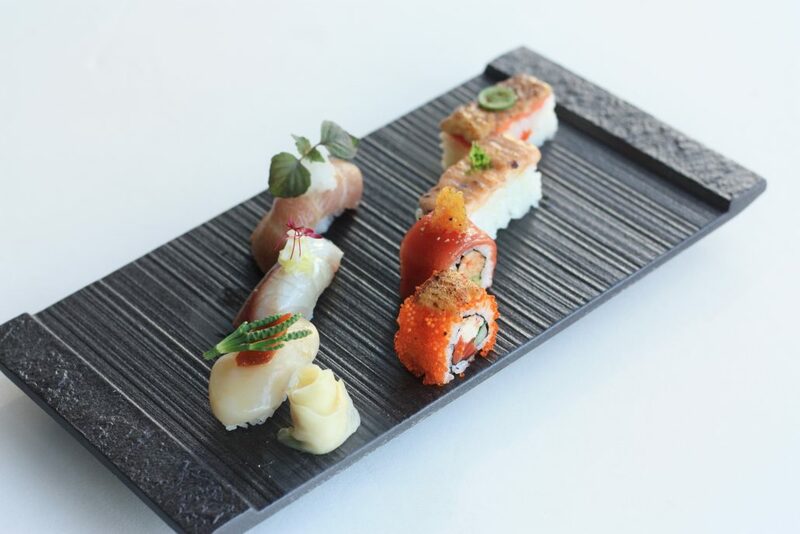 Our 10th Anniversary Sushi Selection features our chef’s selection of Miku’s signature Aburi Oshi, roll, and nigiri sushi. 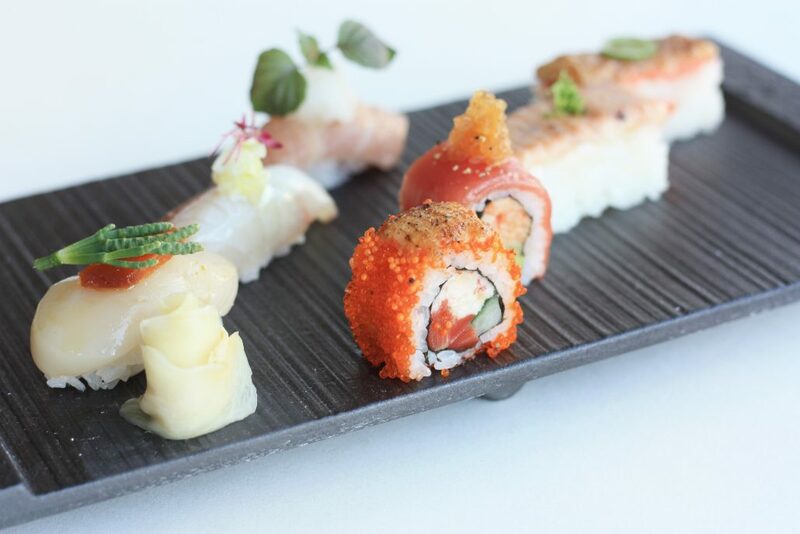 This delectable plate includes our world-famous Salmon and Ebi Oshi Sushi, Miku Roll, Red Wave Roll, as well as our Aburi Ō-Toro, Kanpachi (amberjack), and Hotate (scallop) nigiri. Last but certainly not least, our dessert to end this celebratory evening is the light and creamy Matcha Grand Marnier Tiramisu. Created by Head Pastry Chef Chris Janik, who has been with Miku since the very beginning, this special tiramisu features layers of crunchy vanilla sablé, grand mariner infused matcha almond sponge, mascarpone mousse dusted with matcha, and is served with cinnamon and cardamom infused figs, Valrhona white chocolate tuile, and white coffee ice cream. This Kaiseki menu is available for dinner only, up to one hour before closing. The New York Times writer Suzanne MacNeille took a trip to Vancouver in early November, and visited Miku Restaurant as a part of her food adventure tour. Praising the diversity of cuisine here in the rainy city, Suzanne came by Miku one lunch hour to enjoy our contemporary Japanese menu with a unique French twist. 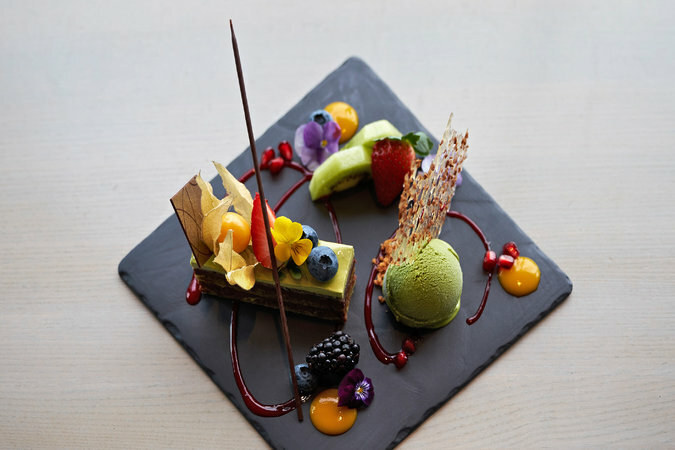 Last but not least, Suzanne concluded her lunch with our signature Green Tea Opera cake, the delectable treat with contrasting layers of green tea génoise, dark chocolate ganache, hazelnut wafer, azuki bean cream, and matcha buttercream that takes three days to make.